Bellmont’s new Velluto Collection is soft and smooth to the touch, with both scratch and fingerprint resistant qualities. 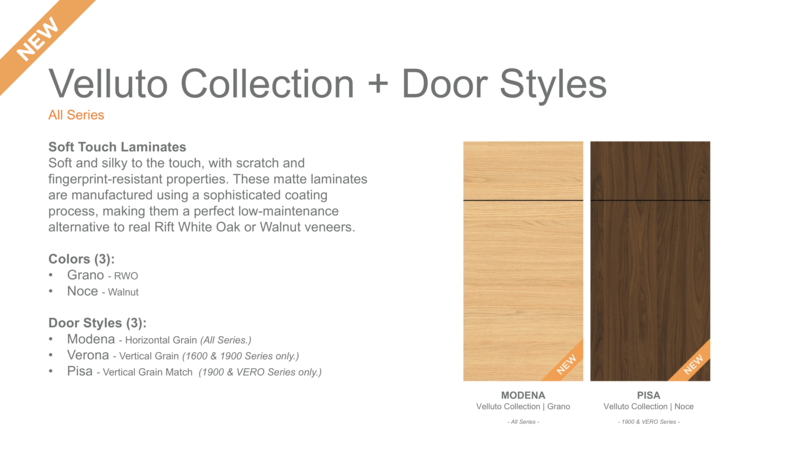 These unique matte laminate, replicate the characteristics of walnut and rift white oak; and are the perfect, low-maintenance alternative to real wood veneers. Crafted using our state of the art hot air edge bander which uses a jet of 600 degree hot air to thermally fuse the edge banding to the door; these beautiful doors have a clean-rolled edge with no glue line. Offered in both 1600 and 1900 Series, a perfect fit for any budget.